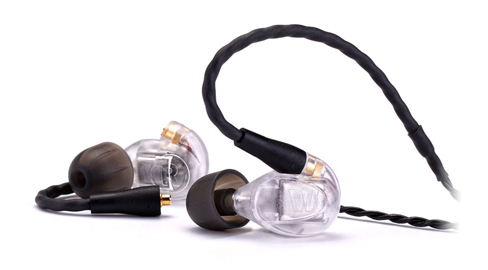 To call the Westone UM Pro 30 just a top of the line musicians universal in ear monitor doesn’t do it justice. Each UM Pro 30 musicians monitor is handcrafted one at a time in Colorado Springs, Colorado. The UM Pro 30 superior build quality and sound signature specifically tuned for performing artists is unmatched by any other universal fit product. A three-way crossover, matched to individual low, mid and high frequency drivers makes your mix smooth and balanced across all frequencies. The Westone drivers are ultra accurate for the most dynamic sound reproduction in a universal fit in ear monitor whilst the detachable cable is an ultra supple braided design to ensure maximum comfort and resistance to tangles - An over-the-ear design offers superior in ear comfort and isolation from mechanical cable noise.